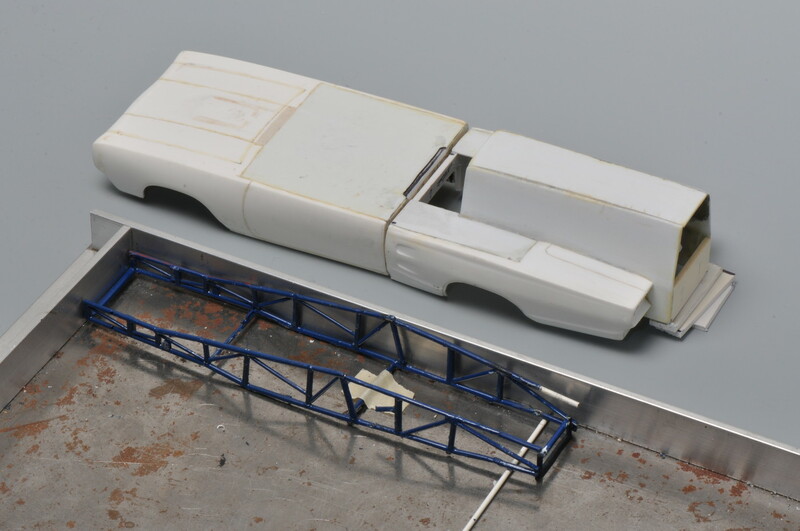 It's been quite some time since I've posted an update on my restoration project for my "Dominator" Dodge Funny Car that won 4th place Nationwide in the 1968 Dodge/MPC/Car Model Magazine Funny Car Contest. 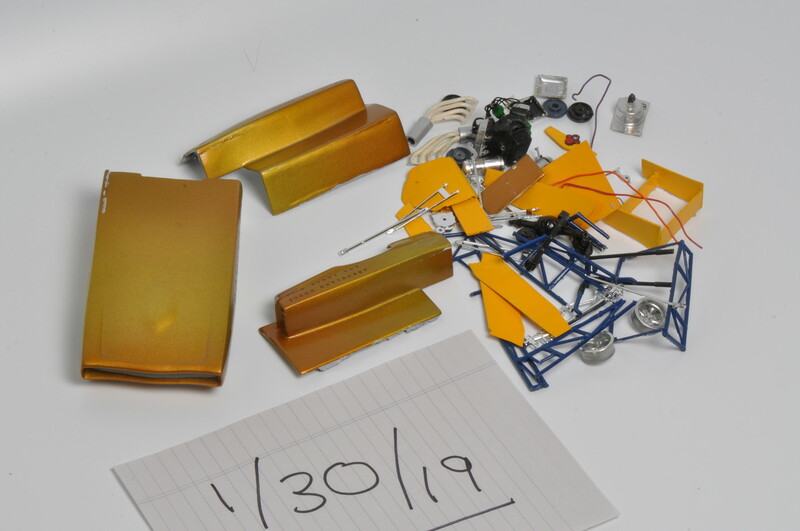 As a reminder, here is what I started with at the end of January.....a pile of parts dating from just about 50 years ago to the month. The whole story and prior chapters are at in my Fotki photo album, which you can navigate to starting with the address below. 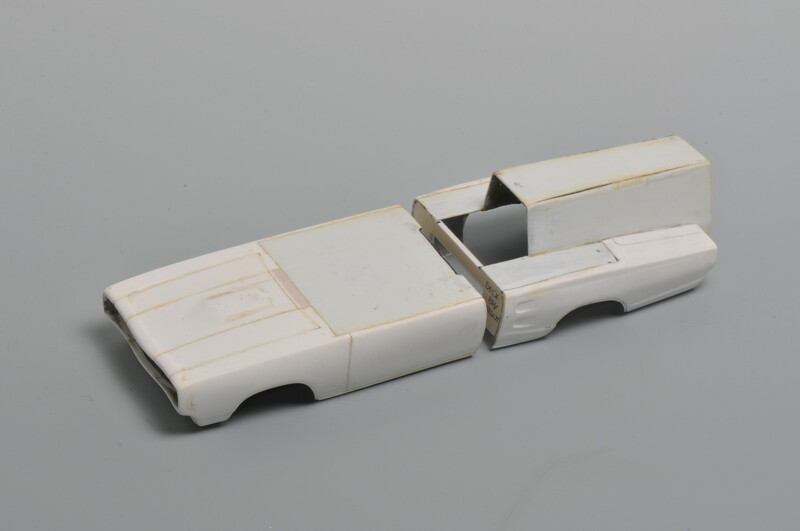 In this "Chapter Six" installment below, I tackle an issue that became apparent after all the glue dried and the masking tape came off after the initial reassembly and reinforcement of the body pieces. 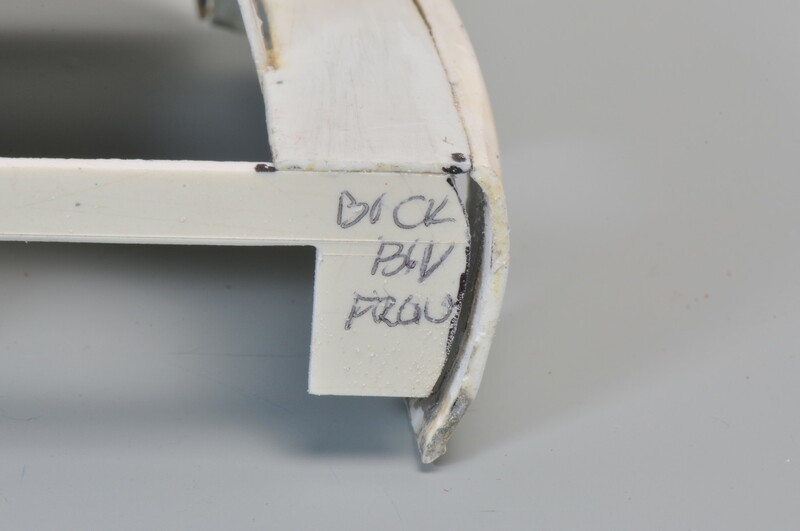 Namely, the back edge of the front body did not align closely enough with the forward edge of the rear body. I took out my jeweler's saw and cut out a portion of the bulkhead of the rear body piece on the driver's side as shown. 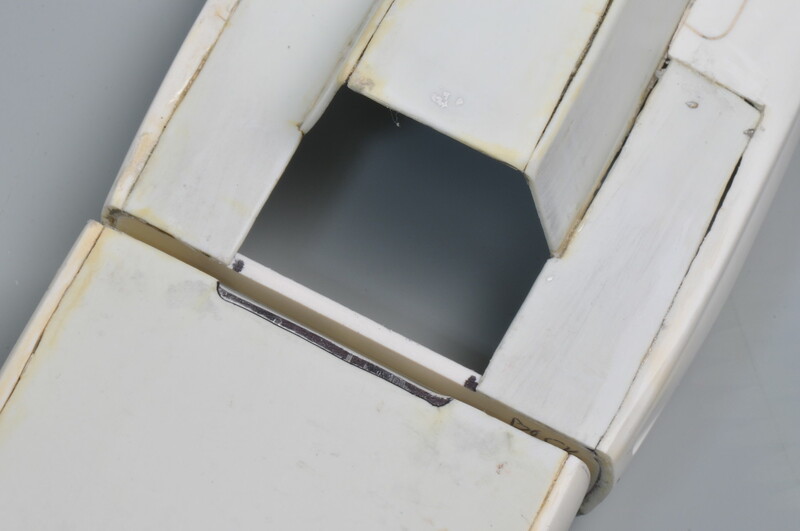 If I was lucky, perhaps then i could break apart the body along the top edge of the bulkhead and re-glue it with the side quarter panel flush to the newly altered bulkhead surface. Did this approach work out? See nine additional photos and captions at the link below.....they explain how and what happened and also how I handled some other body issues that surfaced.